Thanks for stopping by my giveaway on this awesome hop hosted by the lovely Mary from BookHounds and Kathy from I Am A Reader, Not A Writer. 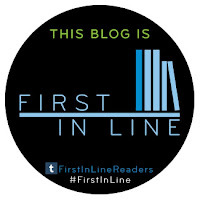 For my stop, I am going to be giving you guys a chance to win one of the fabulous ARCs I got at BEA this year, which also happens to be one of my favorite books I have read so far this summer! This giveaway will be U.S. ONLY. I'm really excited for Tumble & Fall as well as The Coldest Girl in Cold Town. :D Thanks for the giveaway! Thanks for the giveaway new reader. Allegiant, The Iron Traitor by Julie Kagawa, annndddd several others haha. Thanks for the giveaway! The Coldest Girl in Cold Town.. been excited about it since I've seen it. Thanks for being part of the hop..
Im excited for Elegy, Allegiant, and Fall Of Five!!!! I'm looking forward Seanan Mcguire's latest in the Toby Daye series. Thanks for sharing! I'm dying for Unhinged to come out. I cannot wait for Cress, Unhinged, and Origin by JLA! I'm really excited for this release, along with Endless by Jessica Shirvington - even though it's not a summer release. I want to read A Bride For Keeps by Melissa Jagears. Red Hill by Jamie McGuire is on the top of my list along with Origin! Thanks! Crown of Midnight by Sarah J. Maas. Thanks for the great giveaway! Great giveaway.. thank you.. ;)) Have a super weekend!! This book looks incredible, thanks for offering it up! I am not a reader so I have no clue on an upcoming one. I have friends who are disabled and do a lot of reading. I try to win them books so they can enjoy! They are so thankful for that. Cast in Sorrow by Michelle Sagara and Magic Roses by Ilona Andrews. I am excited for so many, but definitely The Coldest Girl in Coldtown , Allegiant, and Scorched are on the top of the list. This is truly one of my most anticipated, but I am also really excited about Allegiant! Allegiant in October! Counting down the days! I'm looking forward to House of Hades, Allegiant, Crown of Midnight, and Champion. I've been waiting for The Crown Tower by Michael J. Sullivan. Thanks for the giveaway!